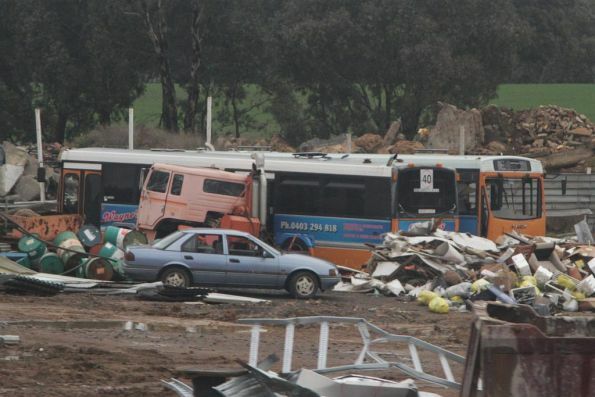 The other week I spotted a pair of ex-ACTION buses in the Marx Metal Recycling scrapyard outside Ararat. And idea of their identities, and how they ended up so far south? They'd have to be Wayne's Party Bus from Ballarat. Found mention that they had two buses, although only ex-785 was known to have gone there. Sawtell Coaches disposal list notes ex (750) as going there also.